I’m going to tag in Jonathan Katz, a fellow at the Carey Institute and the Director of Media and Journalism at the John Hope Franklin Humanities Institute at Duke University to explain why this is also an inherently bigoted position to adopt. You'd have to not know that the French colony that became Haiti provided the wealth that fueled the French Empire — and 2/3 of the sugar and 3/4 of the coffee that Europe consumed. You'd have to not know that Haiti got recognition by agreeing to pay 150 million gold francs to French landowners in compensation for their own freedom. You'd have to not know that Haiti paid it, and that it took them almost all of the 19th century to do so. In short, you'd have to know nothing about WHY Haiti is poor (or El Salvador in kind), and WHY the United States (and Norway) are wealthy. But far worse than that, you'd have to not even be interested in asking the question. 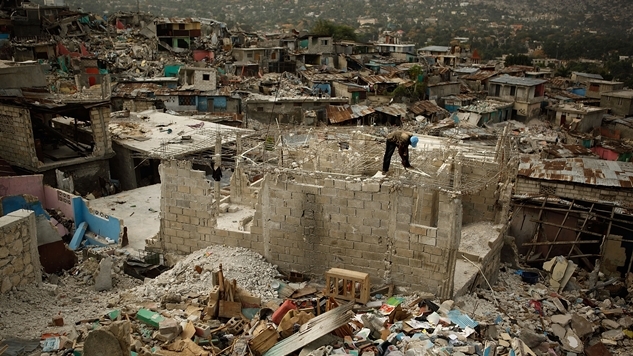 Racists have needed Haiti to be poor since it was founded. They pushed for its poverty. They have celebrated its poverty. They have tried to profit from its poverty. They wanted it to be a shithole. And they still do. So if anyone tonight tries to trap you in a contest of “where would you rather live”—or “what about cholera” or “yeah but isn't poverty bad?”—ask them what they know about how things got that way. And then ask them why they're ok with it.